The Civilian Marksmanship Program (CMP) promotes firearms safety training and rifle practice for all qualified U.S. citizens with special emphasis on youth. The CMP cooperates with a network of affiliated shooting clubs and organizations to deliver firearms safety and marksmanship training and competition programs to every state in the U.S.
Any shooting club or non-profit organization that meets the CMP affiliation criteria may apply for affiliation with the CMP. Affiliation is open to a variety of organizations including shooting and sportsmens clubs, junior shooting clubs, high school and college teams, 4-H clubs, ROTC and JROTC Units, Boy Scout troops and BSA Venturing Crews, Veterans Organizations, and similar organizations. 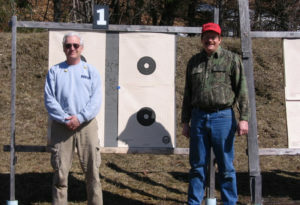 The CMP cooperates with a network of affiliated shooting clubs, teams, summer camps, organizations and state associations in every state in the U.S. CMP-affiliated organizations offer firearms safety training and basic marksmanship courses to their members as well as to residents in their communities. Affiliated clubs also offer opportunities for regular rifle practice and competition shooting. The CMP supports affiliated organizations with a series of programs. 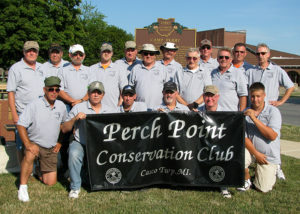 CMP trained and certified Master Instructors are prepared to lead training clinics in their home clubs. CMP programs include the sale, at subsidized prices, of ammunition and rifles suitable for target training and the distribution of newsletters and training publications. The CMP sanctions and supports competitions and training clinics for junior shooters and adults that are conducted by affiliates. To apply to affiliate with the CMP, read these instructions and the attached chart titled "Eligibility Criteria to Affiliate with the CMP." 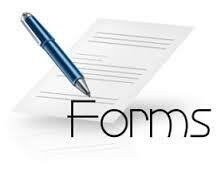 Then fill out the following forms or provide the information requested. Download the CMP Affiliation Application. If available, copies of organic documents for your organization such as its constitution, by-laws, articles of incorporation or other governing rules. A check, money order, or credit card information to pay the first annual dues of $30.00. JROTC units, 4-H Shooting Sports Clubs and BSA organizations may affiliate at no cost (see "MOU Affliated" below). 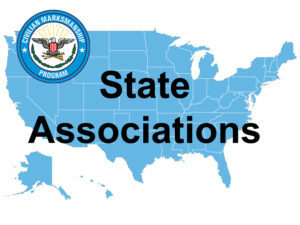 The CMP has MOU (Memoranda of Understanding) agreements with the Air Force, Army, Marine Corps, and Navy JROTC Commands, National 4-H Shooting Sports and the Boy Scouts of America to support the marksmanship programs of these organizations. These agreements automatically make all JROTC units with marksmanship programs, 4-H Shooting Sports Clubs and BSA/Venturing Crews with marksmanship affiliates of the CMP. As an MOU Affiliate, JROTC units, 4-H Shooting Sports Clubs and BSA organizations do not pay annual CMP affiliation fees. Even though MOU's are automatically affiliated with the CMP, these organizations must still enroll with the CMP by submitting an Affiliation Application so that the CMP will have contact information for them. Every club, team or camp with a junior marksmanship program must have at least one qualified marksmanship instructor over 21 years of age who is responsible for the firearms safety and marksmanship training program of the organization. In some organizations, the marksmanship instructor may be the same person as the adult leader who completes the CMP Affiliation Application for the organization. Fill out and return the required forms to the address below. If you have any questions about affiliating with the CMP, please contact the CMP Affiliate Relations Department at 419-635-2141, Ext. 753. You may also contact this Department via e-mail at [email protected] for assistance. A Certificate of Affiliation and additional information will be forwarded to you as soon as your application is processed. Each affiliate must identify one or more persons who are responsible for the activities of the organization and for contacts with the CMP. Each CMP affiliate must have at least one "qualified instructor" who is responsible for presenting firearms safety and marksmanship instruction to members. In small organizations, the instructor may be the same person who is identified as the organization leader, team coach or other responsible adult. All affiliated organizations are required to provide (if available) a copy of their organizing documents such as a constitution, by-laws or other governing document. Organizations that do not have formal governing documents are requested to submit a brief description of their purpose as an organization and how they are governed. All affiliated organizations must submit a completed Annual Statistical Report by 1 April of each year. 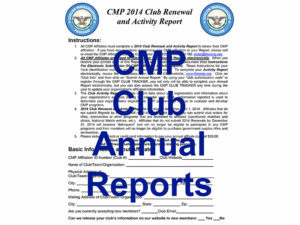 Report forms are mailed/emailed out by the CMP at the beginning of each year. 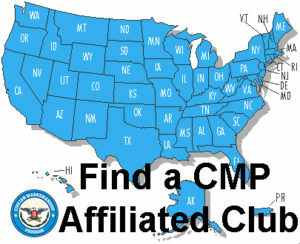 Affiliates that do not file become ineligible to receive any CMP Affiliate benefits. The annual CMP affiliation fee is $30.00. The fee is paid at the time of affiliation and then is paid annually when the Annual Statistical Report is submitted. 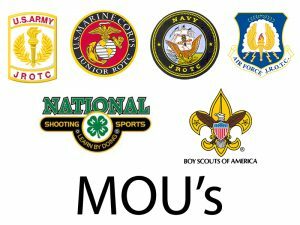 MOU Affiliates (JROTC Units, 4-H Clubs, Boy Scout and BSA Venturing Organizations) do not have to pay dues.